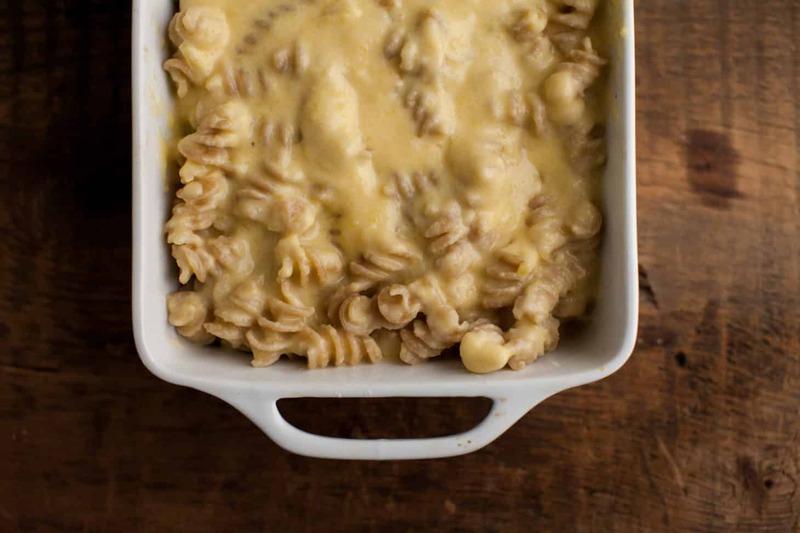 My love of mac and cheese + fall is quite evident on this site. I’ve made a quick butternut squash version and a gooey sweet potato version. 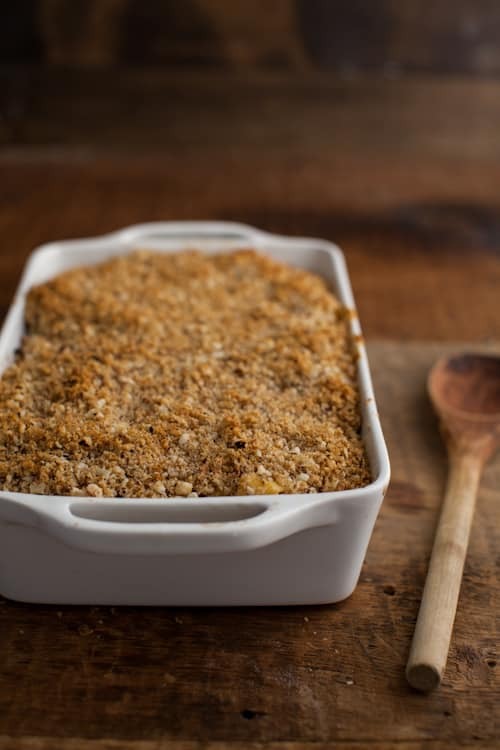 I’ve mixed it up a bit by making mac and cheese from sweet potato gnocchi (delicious) and even made a dish that looked like mac and cheese with Brussels sprouts but was actually a delicious cheesy millet bake. Preheat oven to 400F. Slice pumpkin in half, scoop out seeds and place both halves cut-side down in a baking dish. Pour enough water in the pan to form a 1/4″ layer. Place pumpkin in the oven and roast until tender, 45-55 minutes. Let cool slightly and scoop out flesh. Measure 1 cup and set aside. Bring a pot of water to a boil, add pasta and cook until just tender, 6-7 minutes. Strain and set aside. In a saucepan, heat butter until melted. Mince garlic and add to the pot. Cook for 1 minute. Whisk in flour, thyme, salt and pepper. Cook and whisk for another minute. In a blender, combine pumpkin puree and milk, blending until smooth. Pour mixture into the saucepan and whisk until well combined. Cook, stirring frequently, until sauce thickens, 3-4 minutes. Remove from heat and add in shredded cheese, stirring until cheese melts. 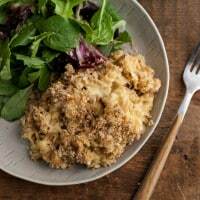 Combine pasta and cheese mixture into an 9×9 baking dish or a pan similar in size. In a food processor, pulse together slices of bread and hazelnuts. With the food processor running, pour in olive oil. Sprinkle mixture over the macaroni and cheese. Bake in the 400F oven for 20-25 minutes until the top is browning and cheese is bubbling. Serve warm. Love this pumpkin version! We are slowly eating away at our huge stash of pumpkins from the farm. This recipe is definitely happening soon! Thanks for the inspiration! It really is crazy how mom’s mac and cheese can never be recreated. At least my mom’s can’t. I think it’s something about nostalgia. Oh gosh that looks so perfect! Seriously perfect side dish for Thanksgiving, nice twist. Made this tonight, it was very good. I thought the optional hazelnuts in the topping were a good add. 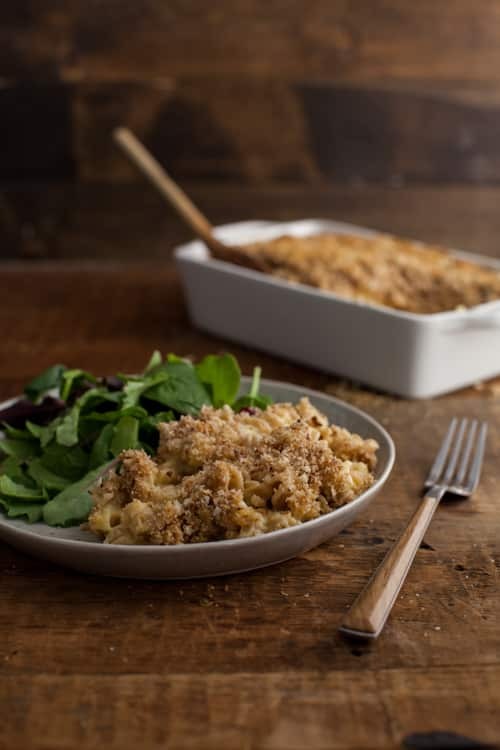 I’ve had butternut squash mac and cheese before and it was delicious, adding winter squash to mac and cheese makes it so much more hearty, and total comfort food! Love it. I can’t even. Pumpkin + mac and cheese. You are brilliant!! 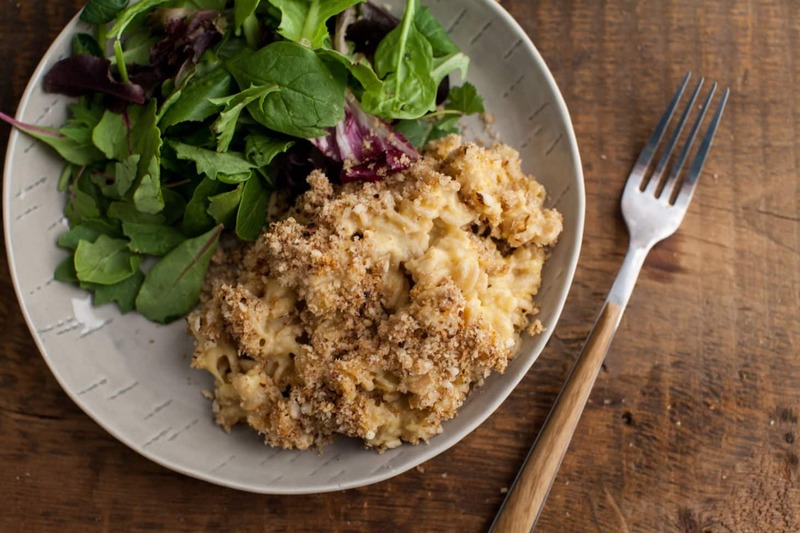 I am pretty much obsessed with mac and cheese…so good! Love the addition of pumpkin. I made this last night with roasted buttercup squash (which I think has a richer squash flavor than butternut) in place of the pumpkin. It was first attempt at making mac and cheese from scratch and it was both the best way to start off Fall and to end a very long day.